Team Lazerbeam present: Bionic Bliss! We did a crummy job blogging about it while we made it, but it’s been my hope to do a few posts looking back on Team Lazerbeam’s experience during Ludum Dare 31 and our process in making Bionic Bliss. But before that, I guess the right thing to do is just a small post introducing our team and our game! We’re a three-man team of friends; Richard, Jason and Ben (me). We live in Cape Town, South Africa. Richard works as a programmer with excellent people known as Free Lives (who’s upcoming title Broforce was itself born as a Ludum Dare jam). Jason and I work together in a small animation studio called Cool Your Jets. I’ve only been into game development for a few months, but in that time have made some great friends and worked on some little games that I’m very proud of. Jason has made music for all of them, including Star-crossed Lovers, an interplanetary dating sim created for the last Ludum Dare. Richard and I had jammed together once before (making a supernatural sports game called Child Ball), had a great time on that and deceided to team up again for LD#31! 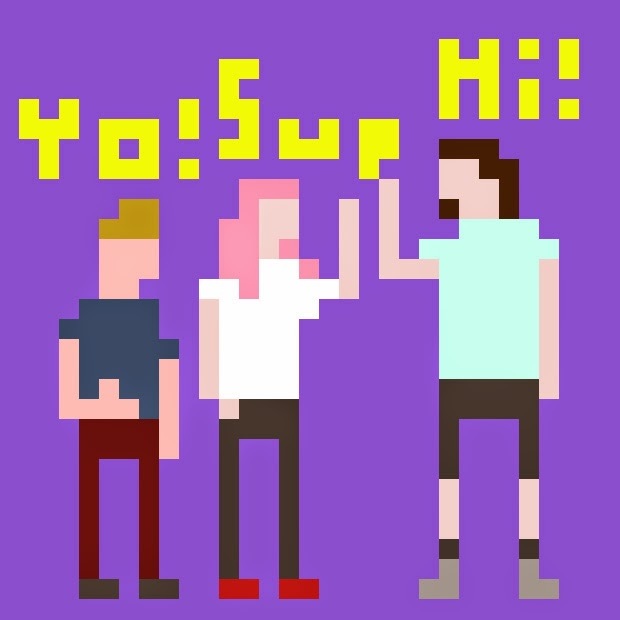 And so, Team Lazerbeam was born! And now, I’ll jump to the end! 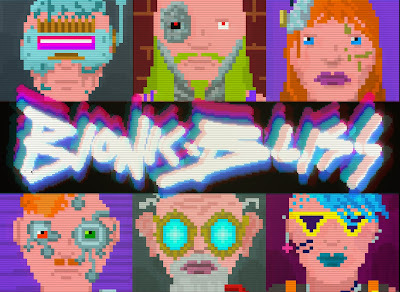 Out of this union, we created a cyberpunk customer service gamed called Bionic Bliss! 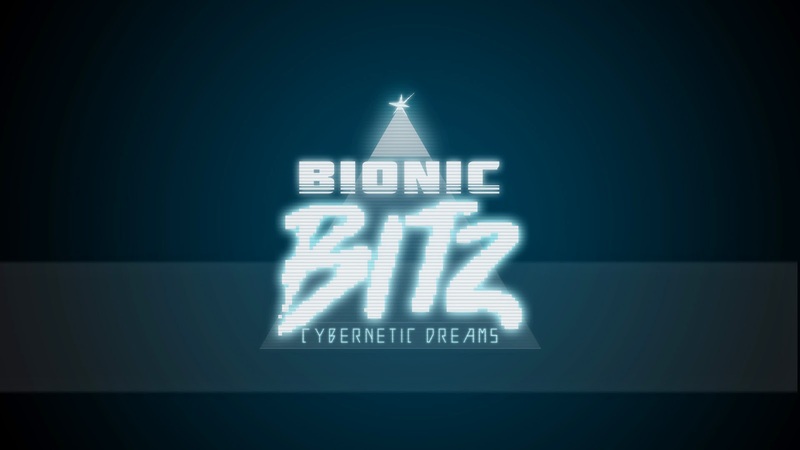 CLICK HERE TO PLAY BIONIC BLISS! We were able to finish our game in time 😀 Do check it out! After some much needed relaxation, I’ll be sure to rate and play a whole lot of games!! Good luck those still working, condolences to those who dropped, and a high five to those who made it~ Night all. Bombpopper: less than 24 hours to go. All the coding is complete. The game ended up to be very simple. All that is left is adding sounds and music. This being my first try at a LD Jam, I am very happy to say I was able to complete it. Hey everyone, hope you are having a great jam so far. This is our first Ludum-event, but it’s been a lot of fun and we will most likely do this again in the future. Our team consists of a 4 people from Guru Games, and normally we work on games that are a lot different from this one. Games that take more than a year to finish, and take up most of our time, day and night. This weekend we decided to take some time of though, and just have some fun. After all, that is what got us into development in the first place, and making something small without the added pressure of milestone-deadlines or budget limitations has been really refreshing. For me, as a CEO, it has been great getting to do real development again, and not spend my time with answering emails. So, what have we made then? Well it’s not done yet, but the game is about our art director, Johan Zdybal, who btw is not part of the jamming group. He is also the one doing the VO in the game, even if he does not know about it yet. We really don’t like being without him, so we decided that if he is not working with us we will work with him, by featuring him as the main character of our game. Now Johan loves Coffee, it’s almost an obsession and we wanted to show the whole world that side of him. 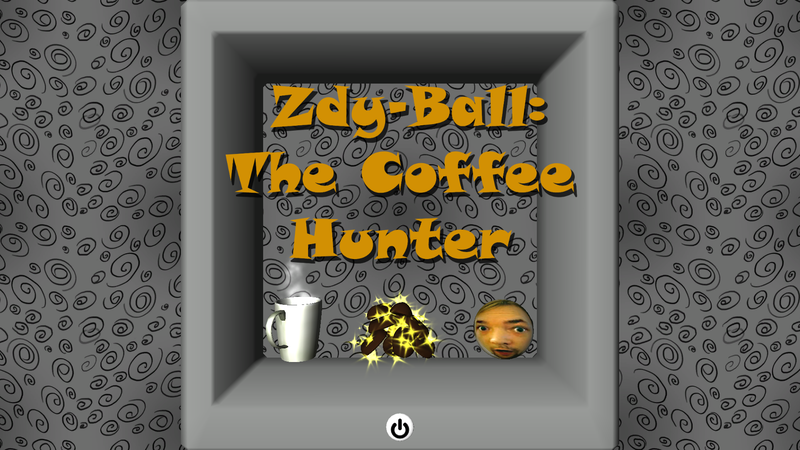 So in the game you are on the hunt for coffee beans and you steer Johan towards the beans by rotating the screen with A+D or the arrow keys. Johan will roll around, bounce and fall towards the beans, and when you have collected all of them A cup of coffee spawns in the middle. His roomies are not to happy about his plans to make coffee however, and will chase him through the levels. It plays a lot like Pacman, but instead of having direct control of the character you just rotate the screen where the game takes place. Special thanks to @doublezeroonezero who created the music for us, and to everyone who has been supportive on twitter. We will do some minor additions to the game, but we have to work tomorrow. If you want to see what we do when we are not fooling around making games about coffee you can follow me, @cardanai or our marketing dude, @ttrengil on twitter. Have a happy jam, looking forward to see more of what you are working in! Yep, I’m done. After around 12 hours of dev time due to school, I have no more time this weekend and so have drawn it to a close, with a bit of a clumsy win condition. But hope people enjoy it! Are we allowed to use freely available music on the web or does it have to be completely from scratch? Say hello to Last Call prototype. We had enough of placeholder art, so this is our artist working live now! First time having a go at LD. 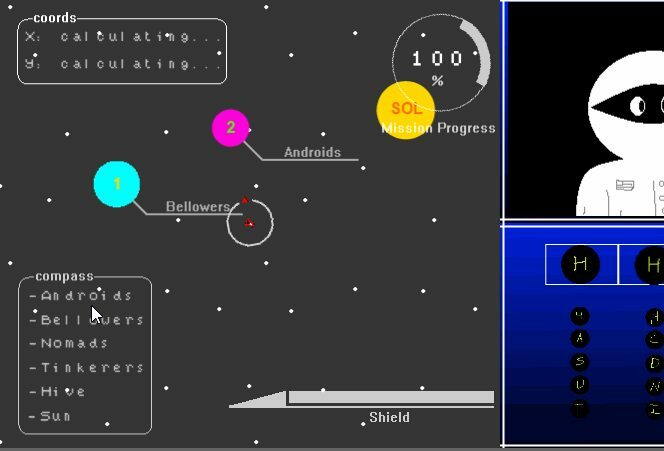 My prototype is basically done: Player, Target, Bullets, Borders, Bouncers, Loopers, Level Exit, Next Level Randomness. Now the big question….. Art. What to do? probably best to stick with something abstract and just tidy up the palette a little. 23 queries executed in 0.118 seconds.